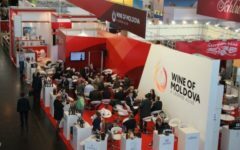 The Republic of Moldova will become in 2018 by the decision of the United Nations “The World Capital of Wine Tourism” and hostess of the III Global Wine Tourism Conference, at which representatives of 70 countries are expected, the “Live Map” website reports. 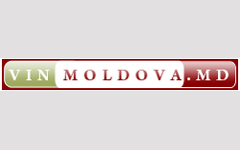 Director General of the Agency for Tourism of Moldova Stanislav Rusu said during the press conference that the choice of the Republic of Moldova is an important victory for the image of the country as a tourist destination and positions Moldova in the world rating of winemaking tourist destinations. What sorts of grapes are the most popular in Moldova? 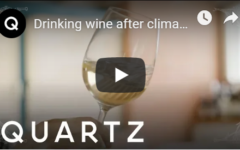 The Agency for Tourism also presented the first promotional video about the Moldovan wine tourism – Let’s raise a glass of wine in Moldova. The Director General of the Agency for Tourism noted that wine tourism – can become that must see, for the sake of which foreign tourists will want to visit Moldova. The video cost not cheap – 9500 lei, and this is taxpayers’ money. But such investments are sure in the Agency for Tourism, will certainly return to the budget revenues from inbound tourism, and therefore in the near future will be created and other thematic videos: to promote the ecological, rural, gastronomic, cultural and adventure tourism. Stanislav Rusu said that the tourist interest in the Republic of Moldova is growing from year to year. Last year, according to the Border Police, 3.4 million foreign citizen arrivals were registered, more than 500 thousand more than the level of 2015. According to the UN WTO (World Tourism Organization), this allowed Moldova to take the fifth place in the world in terms of the growth rate of foreign tourist traffic. In addition, in the first half of 2017 there was an increase (by 6.1%) in the number of arrivals compared to the same period of the previous year. Nevertheless, while revenues from inbound tourism are only 1% of the country’s GDP (world average, as is known, 10%). According to Stanislav Rusu, in a short time Moldova intends to switch to a new method of statistical accounting in the tourism industry, which will allow to take into account the majority of spending, which foreign tourists produce in the country. In addition, Stanislav Rusu talked about three of the most interesting projects that are currently being initiated by the Tourism Agency. This is the “Road of Vineyards”, “Road of Monasteries” and “Medieval Fortresses”. A number of cross-border projects are planned in cooperation with Ukraine.